Watch celebrity families play with game master Dingdong Dantes in Family Feud’s finale episodes this week. GMA-7’s game show Family Feud offers an all-star finale week special from April 19 to April 23. Join game master Dingdong Dantes in a weeklong face-off of different families as they outsmart each other for a chance to bring home big cash prizes. On Monday, April 19, Kapuso’s Pop Heartthrob Mark Bautista goes head-to-head with Paolo Paraiso. Who will survive between the Bautista Family versus the Paraiso Family? Tuesday, April 20, becomes extra special with the showdown of the Salo-Salo Together Family composed of Liezl Martinez, Giselle Sanchez, Joy Ortega and Smokey Manaloto against the Halo-Halo Together Family of Chariz Solomon, Say Alonzo, Tessbomb and Antonio Aquitania. From Wednesday to Thursday, regular families will try to defend their "honor" in claiming the huge jackpot prize. And on Friday, April 23, the talents of Perry Lansigan challenge the talents of Leo Dominguez. Who will bring home the jackpot between the PPL Family of Angelica dela Cruz, Carl Guevarra, Gabby Eigenmann and Arthur Solinap versus the LVD Family of Ricardo Cepeda, Snooky Serna, Emilio Garcia and John Apacible? 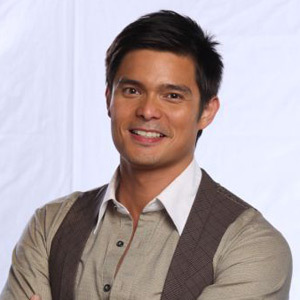 Dingdong’s natural charisma and energy appealed very much to the studio contestants and more importantly, the viewers of Family Feud. Even the show’s tagline, "The family that plays together, wins together!" has become a household hit. The star-studded finale week special of Family Feud airs from April 19 to April 23 right before First Time on GMA-7.